Hope For The Day’s signature fundraiser, The Hope Ball, took place on Saturday evening, December 1st with astounding success. 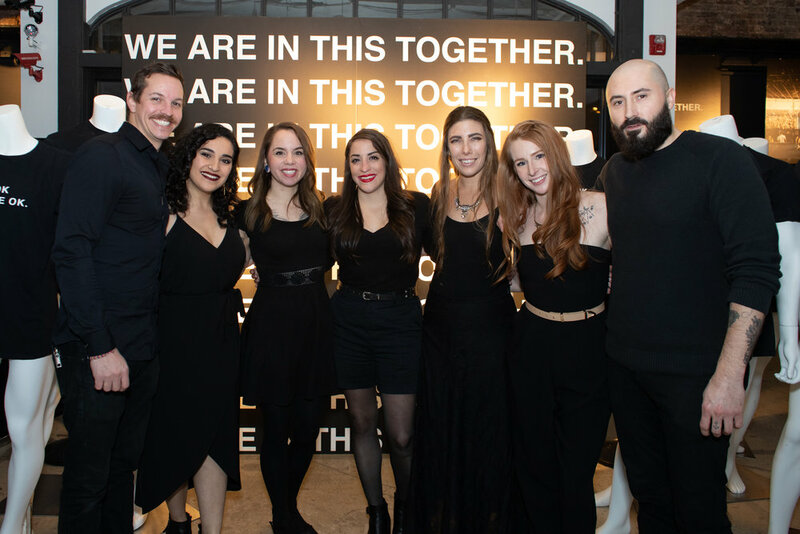 The sold out event was held at The Annex, where HFTD executives, VIP guests, and community members alike came together to celebrate the future of mental health. As a fundamental element of our mission to proactively prevent suicide, Education took the spotlight as our fundraising theme this year. The celebration showcased our supporters’ dedication to being proactive by breaking the silence of stigma and raising the visibility of resources, especially through our education initiatives. We’re proud to announce that 100% of The Hope Ball proceeds are going towards HFTD’s 2019 proactive prevention education programming. When we educate our communities on mental health we ensure that individuals understand that there is hope for a better day and a better quality of life. Over 121 people die by suicide per day in America alone, but suicide is preventable. Our programs teach individuals that It’s Ok Not To Be Ok and that there are positive and effective ways to confront mental health challenges before crisis. Every guest at the event made an impact by donating $121 or more to Proactive Prevention via their ticket purchase. It costs $13.33 to educate one person at a proactive prevention workshop and it only takes one individual to raise their voice and impact others. Every donation allows us to reach another person who can share their story, disseminate resources and knowledge, and amplify our proactive approach. After an exclusive VIP cocktail hour, The Hope Ball commenced in full swing with food and drinks served by Small Talk Hospitality, Funkenhausen, Lula Cafe, Osteria Langhe, Quiote, and Coda Di Volpe. Attendees made additional donations through our raffle, and The Right Now broke the silence with a soulful live music set and a poignant suicide loss survivor story. Together we honored those we’ve lost and paved the way for a brighter future where we can eliminate the highest risk factors of suicide. We give special recognition to the recipient of the 2018 Industry Leader Award: Steve Moore, Co-Chairman of American Foundation for Suicide Prevention (Illinois Chapter), and the recipients of the Partners in Prevention Award: Paul Marobella, CEO & Chairman of Havas Creative North America, and Jason Peterson, Chief Creative Officer & Co-Chairman of Havas Creative North America. We’d like to extend a sincere thank you to all of our guests, donors, and sponsors who contributed to the night’s success: American Foundation For Suicide Prevention Illinois, Havas, The Annex, American Hospital Association, Hope Foods, Johnson & Johnson, Peak 6 Investments, Homebridge Mortgage, Rowboat Creative, Ten Twelve Entertainment, WeWILL, The Insurance People, LuLuLemon, and Josh Lance CPA. Thank you for your continued support and for exemplifying our mantra: WE ARE IN THIS TOGETHER. We could not have had such a fun and impactful night without you. To view more photos of The Hope Ball click here.